You may be asking yourself, 'Why do I need to have my tires serviced?' At Meineke, we have a simple answer to this question - because your tires are some of the most important parts of your vehicle. When you service and maintain your tires regularly, you will get the most out of your vehicle's suspension system, handling, and overall performance. If you can't remember the last time you had your tires replaced or inspected, visit your local store today in Myrtle Beach SC Meineke #1969 for a full tire-fledged tire inspection. Tires are one of the most essential parts of your vehicle. They act as the only point of contact between your vehicle and the roadway, so they are vital for proper safety. They can also significantly impact how well your vehicle performs. If you fail to take your vehicle in for a scheduled tire change service, you could be increasing the wear on your vehicle and lessening the lifetime of connected components. You may also be putting yourself, your vehicle's occupants and others on the roadway in danger. As tread wears down on a tire, it does not maintain as much traction, which could cause your car or truck to lose control on the road. 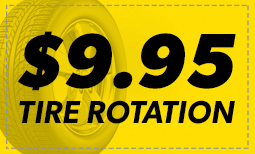 Stop by Meineke #1969 in Myrtle Beach, SC to learn about a tire rotation service to prolong the life of your tires. If you have older or damaged tires, you may be wondering about potential warning signs. Fortunately for drivers, many of these signs are easily observable to the naked eye. If you notice that your tires are punctured or cracked, it may be time to consider taking your vehicle to a tire change service provider. If your pressure sensor constantly gives low readings, even after you fill your tires with air or change them, your car may need to undergo tire pressure sensor replacement. Many of these issues are signs of severe damage, so call our Myrtle Beach, SC, Meineke #1969 location if you notice any of them. Damaged tires and wheels are a potential hazard that can be completely avoided with proper maintenance. If you ignore tire pressure issues or put off your search for "tire repair near me," you are placing yourself, your vehicle's occupants and everyone you pass on the road in danger. Without properly maintained tires, your tires could explode while you are driving, causing you to lose control. Contact Meineke #1969 in Myrtle Beach, SC for information on tire repair and tire pressure sensor replacement. If the tire pressure sensor light illuminates on your vehicle's dashboard, should that be an automatic sign that your tires need to be replaced? Not necessarily. Depending upon the current condition of your tires, a simple repair may be all that needs to extend their life and save you money. How are you to know? Finding out for yourself literally only takes a penny. Insert a penny into the tread of your tires, with President Lincoln's head facing downward. If any part of his head is hidden by the tread, your tires can still be used. If the dashboard light continues to go off, you may want to consider a tire pressure sensor replacement. 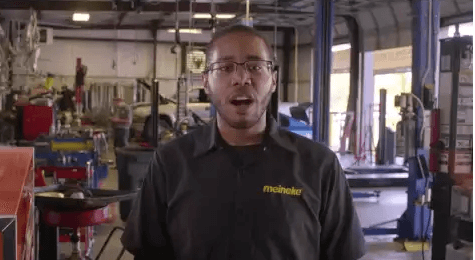 Any tire-related questions you may have can be answered by our friendly staff at Meineke #1969 in Myrtle Beach, SC. If you are in need of new wheels or tires, searching for "flat tire repair near me," may not always give you the best results. At Meineke #1969 in Myrtle Beach, SC, we are always willing to go above and beyond to ensure that our customers receive the best service for the lowest prices. We often offer tire rotation coupons and other deals to keep tire replacement cost low. Save yourself time and money by bringing your car to Meineke #1969 the first time you are in need of repairs. Our professional technicians always take pride in their work, so you can be sure you are only getting the best possible service.